Decatur, AL Home Inspector - Assurance Residential Inspections LLC. We offer Home Inspection services to Decatur, AL residents as well as serving the Tennessee Valley. Assurance Residential Inspections is proud to provide home inspections, radon testing, indoor air quality testing, and mold testing to the Decatur AL, including Morgan County and Limestone County areas and all surrounding communities. Assurance Residential Inspections is also a proud associate member of the Morgan County Association of Realtors. Known as the “river city” Decatur is a beautiful area with lots of activities to keep an active family busy. With the river going through the town, there are plenty of great fishing areas. The kids will love the local Point Mallard water park which is famous for its wave pool, but also has an Olympic pool, diving platforms, great water slides, and a surf platform. Point Mallard park also has several other activities available such as batting cages and an archery range. The city also enjoys a healthy industry and commerce environment as well as being just a short drive from the Huntsville and Madison AL areas. 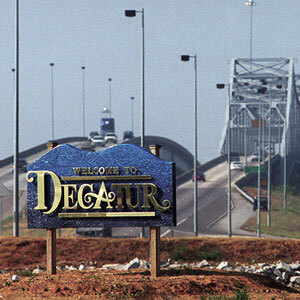 Decatur also offers convenient access to interstate I-65 as well as I-565 into Huntsville.